Giselle Ansley scored two penalty corner goals as Great Britain drew 2-2 in the fourth game of the six-match series against Australia in Perth. 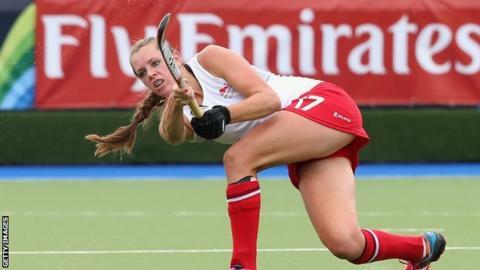 The Surbiton defender struck her first GB goal in the first half to cancel out Georgia Nanscawen's opener. She grabbed her second 10 minutes from time, finding a gap between Ashlee Wells' pads via a slight deflection. But Emily Smith equalised late on to leave the series tied at 1-1 with two matches to play. "We were very fortunate to get a draw," said GB coach Danny Kerry. "Many aspects of our game were not where they needed to be. "Having said that we have needed to and have shown plenty of grit and I'm pleased for Giselle scoring her corners." The third match also ended in a draw, with GB winning game two.